The Danze D460052BR 1-Function Tumbled Bronze Showerhead gives a striking boost to the elegance of your modern bathrooms. It produces a constant water flow of up to 1.75 gpm at 80 psi. This Danze Showerhead utilizes 40 easy-clean spray channels. It is designed to heighten water intensity even at low pressures so it can distribute water wide enough to cover your body. It boasts its Pressure Manifold that allows you to save space and reduce installation costs. It proudly features its Air Injection Technology which increases shower intensity and traps air bubbles, softening the impact of the shower spray on your body. More details are available in the specification sheets. It allows you to conserve water and save money on utility bills for it uses 30% less water than standard showerheads. 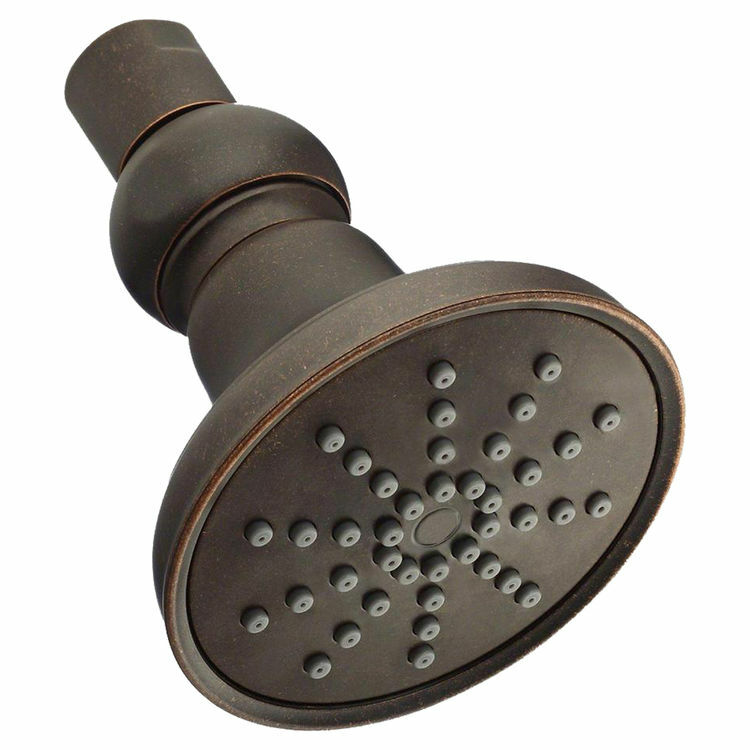 The Danze Showerhead is covered by a limited lifetime warranty for factory defects. It is ADA-compliant and is recognized for meeting the required environmental standards. Danze pays close attention down to the minutest details when crafting their faucets. It has been producing high-quality and sought-after products in the marketplace since 2001. Here at PlumbersStock, we flaunt our wide range, top-branded products with great deals and unbelievable prices! We assure timely deliveries and excellent customer service. Features Pressure Manifold Technology that ensures a full spray pattern with no "hollow center"